CBD oil, a non-psychoactive cannabinoid found in cannabis has become one of the most popular supplements and one of the most talked about topics in the health and wellness industry recently. Products have spread across natural health food stores, vitamin shops, online stores, cafes, and health practitioner offices. Sales have skyrocketed in recent years. By 2020, the hemp-CBD market is predicted to hit $22 billion (1). CBD oil is not only popular, but it can benefit your health in so many different ways, including reducing inflammation, improving sleep, and supporting your immune system. I’m incredibly excited to share more about CBD oil with you. You will learn what CBD oil is, what the endocannabinoid system is, the difference between CBD and THC as well as the benefits and potential side effects for CBD oil. You will also learn how to use CBD oil to experience maximum health benefits. Most importantly, I’m excited to share with you the best source of CBD oil I recommend. Cannabidiol is also knowns as CBD. It is one of over one hundred chemical compounds known as cannabinoids in cannabis plants, including hemp marijuana, or Cannabis sativa (2). The two primary cannabinoids in cannabis include CBD and another compound called tetrahydrocannabinol (THC). THC is the main psychoactive cannabinoid that is responsible for the experience of ‘being high’ which you may think of when you hear about marijuana. Unlike THC, CBD is not psychoactive and does not result in ‘being high’. For this reason alone, CBD is a rather appealing option for many people who are looking for pain relief and other health benefits from the cannabis plant without experiencing the mind-altering effects of THC in marijuana or unpleasant side-effects and toxicity from pharmaceutical drugs. The name of the endocannabinoid system (ECS) comes from the word ‘cannabinoid’ and ‘endo’, which is short for endogenous. Endogenous refers to something that is created naturally inside your body. Hence ‘endocannaboid’ stands for cannabis-like substances that are naturally inside you. The ECS is a natural and important part of your body. To understand its role, we have to first discuss what homeostasis is and why is it important. Homeostasis is your body’s way of keeping your internal environment balanced, stable, and optimal regardless of your external environment. Your body is constantly monitoring what is going on. Your body is checking if your temperature is too low, too high, or just right, if you need food, water, or rest, if your hormone levels are right, and if there is too much of anything inside your cells or bloodstream. ECS comes into the picture when something is outside the normal range. If you need fuel, ECS is reminding you to eat by making your stomach growl. If you are working out on the hot sun, your ECS helps you to cool down through sweating (3). How does your ECS accomplish all of this? Through cannabinoid receptors found in various tissues. There are two types of cannabinoid receptors you should know about; CB1 and CB2. CB1 is found in your central nervous system, inside your brain and in the nerves of your spinal cord. CB2 is found in your peripheral nervous system, digestive system, and specialized cells in your immune system. While some researchers believe that there may be a third receptor, CB1 and CB2 are the two cannabinoid receptors we currently know about. With the help of CB1 and CB2, the ECS can help to regulate your appetite, digestion, inflammation levels, immune functions, sleep, mood, pain levels, memory, and other important functions. Your body is incredibly smart allowing ECS to make an impact exactly where it is needed without altering other areas. Once the endocannabinoids have successfully created balance, certain enzymes come to break them down to prevent the endocannabinoids from upsetting the balance in the opposite direction. The response of the enzymes is just as precise as the impacts of the endocannabinoids to create homeostasis. Homeostasis is absolutely essential to your health. If your ECS isn’t working optimally, it can lead to a variety of problems. Research on ECS has discovered that a variety of conditions may be related to clinical endocannabinoid deficiency (CECD), which is an umbrella term used for various conditions. CECD conditions may include fibromyalgia, irritable bowel syndrome, and migraines. CECDs usually involve more than one system in the body. 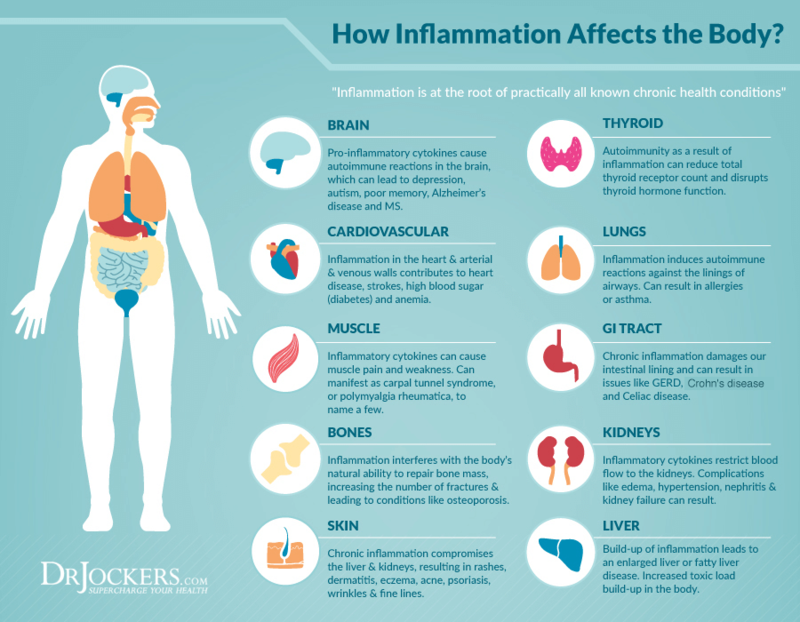 For example, fibromyalgia affects the entire body, including the immune system, endocrine system, central and peripheral nervous system and digestive system. CECDs are generally resistant to many other treatment methods urging researchers to see the potential benefits of CBD. Since cannabis products, such as CBD oil can stimulate the activity of your ECS, they can be part of potential treatments and benefit your health in a variety of ways. There is more and more research on the potential health benefits of cannabis, CBD oil, and cannabinoid-based treatments which you will now learn about (4, 5, 6). The most active ingredient of marijuana is possibly also the best-known compound, THC. While marijuana contains both THC and CBD, these two compounds have profoundly different effects on the body. While both CBD and THC have similar health benefits, THC results in a mind-altering ‘high’ when smoked or otherwise ingested in the body. On the other hand, CBD does not result in feeling ‘high’ or other mind-altering effects and can positively impact your health. CBD can be extracted from both marijuana and hemp, two plants in the cannabis family. It is important to know where your CBD comes from both from the health and legal perspective. When extracted from marijuana, cannabis high in THC, between 5 and 35 percent, results in products high in THC. CBD extracted from marijuana is currently not legal in most US states (7, 8). Marijuana farmers have selectively bred their plants to create various types of marijuana with high levels of THC and other compounds for a variety of effects and smell. On the other hand, hemp farmers have rarely modified their plants. Hemp is the least processed form of the cannabis plant which also contains the most amount of CBD. Hemp is very low in THC at less than 0.3 percent. CBD oil made from non-psychoactive hemp is legal to purchase and use in all 50 states in the US. When you are searching for CBD oil, ensure you are choosing quality products made from hemp plants. There is increasing research on the benefits of CBD oil. Studies have shown its benefits on pain, inflammation, mental health, stress, sleep, and more. Let’s look at the main benefits of CBD oil one by one. Marijuana has been used for its pain-reducing benefits since 2900 BC. Modern research has discovered the reasons why it may be so effective for pain. One of the main reasons for its pain-relieving effects is CBD, found in both hemp and marijuana (9). As you already know, your ECS is involved with regulating a variety of functions in your body, including pain. The endocannabinoids produced by your body can bind to cannabinoid receptors in your nervous system providing you with a variety of health benefits (10, 11). Research has shown that by impacting endocannabinoid receptor activity in your body, CBD may help reduce inflammation and chronic pain. For example, studies have found that CBD injections reduced pain related to sciatic nerve pain, inflammation, and surgical incision in rats. Other studies have found that CBD may be effective to improve pain and inflammation in those with multiple sclerosis and rheumatoid arthritis. It also seems that CBD may alter the perception of pain and make the pain more manageable (12, 13, 14, 15, 16, 17). Its neuroprotective properties are one of the most exciting benefits of CBD oil. Research has shown that CBD is able to act on the ECS and other brain signaling systems and as a result, it may also benefit people with neurological disorders, such as epilepsy and multiple sclerosis. Research has found that Sativex, an oral spray consisting of CBD and THC is a safe and effective treatment option for those with multiple sclerosis as it helps to reduce muscle spasticity. It is also effective for people with epilepsy to support reducing seizures. Another study has found that CBD oil can reduce seizures in complex childhood epilepsy (18, 19, 20). CBD has also been studied for its potential benefits in other neurological disorders. It may be able to improve sleep in those with Parkinson’s disease, while decreasing inflammation and preventing cognitive decline in those with Alzheimer’s disease (21, 22, 23). Depression and anxiety are two of the most common mental health disorders that can have a devastating impact not only on your mental health but also on your physical health and well-being. Both depression and anxiety are often treated with a variety of pharmaceutical drugs that come with an array of unwanted side-effects, including headaches, fatigue, drowsiness, weight gain, insomnia, agitation, and sexual dysfunction. Some medications, such as benzodiazepines can also lead to addiction and substance abuse (24, 25). CBD oil has shown to be a promising natural treatment option for depression and anxiety without toxic side-effects. 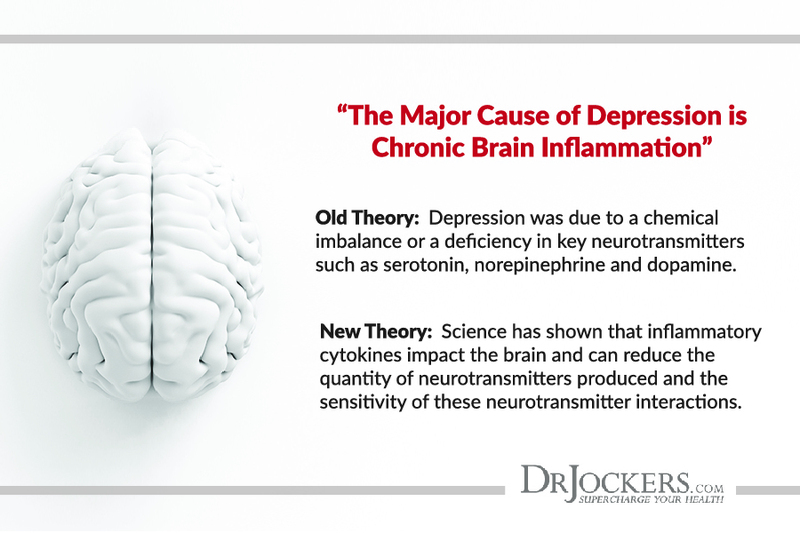 It may influence the brain’s receptors for serotonin, a neurotransmitter responsible for regulating your mood and social behavior. Research has shown that CBD oil may reduce anxiety, social anxiety, symptoms of depression, anxiety-related cognitive impairment, and symptoms of post-traumatic stress disorder (PTSD) (26, 27, 28, 29). Furthermore, research suggests that CBD oil may have antipsychotic effects for those with schizophrenia and other mental disorders with psychotic symptoms. It may also be helpful in substance abuse treatment by modifying brain circuits related to drug addiction and in reducing morphine dependence (30, 31). Chronic stress can lead to an array of health problems, including fatigue, weight gain, mental health issues, chronic pain, inflammation, and other chronic health issues. CBD oil may be able to support a healthy stress response and reduce your risk of consequent health problems. Cannabinoid receptors, such as CB1 and CB2 are found in specific areas of your brain that are responsible for emotional behavior, stress, irritability, fear, sleep, mood, and cravings. Research has found that CBD oil can reduce the ‘fight or flight’ phenomenon, which is related to physical and mental stress. CBD oil may lower your blood pressure and heart rate which may be a response to stress and anxiety. It may also lower conditioned responses to stress, pain, or punishment. Lastly, as you’ve learned earlier, CBD oil may decrease symptoms of anxiety and depression that often appear when under stress (26, 27, 28, 29, 32). CBD oil may also able to reduce sleep difficulties and improve your sleep quality. 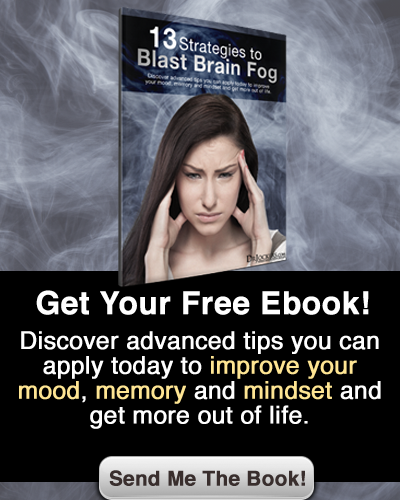 It may be able to improve insomnia and increase your overall amount of sleep. While taken in daytime, CBD may actually enhance your daytime quality of life by improving cognition, lowering pain, and reducing daytime sleepiness. However, taken consistently, CBD oil may help your sleep-wake cycle. Research has shown that CBD oil can improve your sleep behaviors and reduce wakefulness. By helping your sleep, CBD allows your body to rest and repair during the night and to get ready for the next day (21, 33). CBD oil may also support an optimal immune function, keep your immune system under control, and fight against invaders. CBD oil plays an important role in improving your ECS and may help to regulate and maintain proper communication between different immune responses. By working together with your ECS, CBD oil can improve your overall health. As you’ve learned earlier, CBD oil can reduce inflammation which may aid your body’s ability to fight and recover from infections and illness. It may also have specific antibiotic benefits to further improve recovery. For example, research has shown that CBD has a potent antimicrobial activity against a common antibiotic-resistant bacterium called MRSA (12, 13, 14, 15, 16, 17, 34). Several states have legalized medical marijuana for cancer patients. However, some research suggests that CBD oil, even without THC, may be able to reduce symptoms related to cancer as well as side effects related to cancer treatments, such as pain, nausea, and vomiting. According to one study looking at the effects of CBD and THC with cancer-related pain found that both compounds will contribute to significant pain reduction. Another study has found that CBD may lower chemotherapy-induced nausea and vomiting (35, 36). Several test-tube and animal studies have suggested that CBD may have anticancer properties. For example, studies show promise for breast cancer, melanoma, and prostate cancer. While further test-tube and animal studies are needed before moving onto human trials, the findings are so far quite promising (37, 38, 39, 40). CBD is considered generally safe and well-tolerated. However, there are a few side-effects and potential interactions you need to know about. The most common side effect of CBD oil is tiredness and fatigue. Other common side-effects may include changes in appetite, diarrhea, and changes in weight (41). Because of lack of evidence on its effects on a growing fetus and infant, do not use CBD oil during pregnancy and breastfeeding. We know that THC can cross the placenta and enter breast milk affecting your baby. Since CBD may do the same, it’s better to practice caution. CBD may interact with certain medications, particularly with drugs that are metabolized by cytochrome P450 (CYP450) enzymes. Since CBD interacts with CYP450 enzymes, it may also increase or inhibit the metabolism of these drugs depending on the dosage and the person’s unique biochemistry and genetics (42). Since about 60 percent of prescription medications are metabolized by the CYP450, it is important to talk to your doctor if you are on any medication and considering using CBD oil. Medications that are metabolized by the CYP450 enzyme include antibiotics, antihistamines, NSAIDs, antidepressants, antiepileptics, antipsychotics, anesthetics, angiotensin II blockers, beta-blockers, benzodiazepines, immune modulators, steroids, calcium channel blockers, and HIV antivirals (41). Just like with other new or alternative treatment options, there is still a lack of evidence of safety and precautions. Always talk to a healthcare practitioner before using CBD oil. The US Food and Drug Administration (FDA) has only approved CBD for the treatment of two rare and severe forms of epilepsy, hence products on the market are not regulated by the FDA, which makes it difficult to know whether a certain product contains safe or effective levels of CBD. When you are searching for CBD oil, it is important to do your research and buy from reputable companies that prioritize safety and which sell independently tested full spectrum, organically grown, non-GMO hemp oil (43, 44). There are a variety of different forms of CBD oil that you can utilize. You can use CBD oil in four ways: orally, topically, sublingually, or as an inhalant. Let’s look at each way one by one to help you to navigate the CBD oil maze. The easiest way to use CBD oil orally is to purchase CBD oil capsules or pills. It is very similar to taking any other supplements. Since capsules and pills come in pre-measured sizes, it is very easy to monitor your dosage. Pills also don’t have a taste so you don’t have to worry about not liking it. Another way to use CBD oil orally is by adding straight CBD oil to your food, including butter, oils, smoothies, beverages, dressings, and more. This is a creative and fun way to add CBD oil to your diet, however, the taste may not appease everyone. Using CBD oil orally is possibly the most beginner-friendly and simple of methods. However, it also takes longer to feel its effects as it takes a while to be absorbed by your digestive tract. If you have compromised digestion, absorption may not be ideal either. Once CBD oil is absorbed, effects can be long-lasting. Topical application of CBD oil is particularly popular and easy for joint pains, sore muscles, and other body pains. You can find lotions, creams, body butters, rollers, and even soaps and shampoo. CBD oil rollers infused with essential oils may also be effective for stress, headaches, migraines, and anxiety. Your skin has many receptors and can effectively absorb CBD oil and provide benefits where you need it. If you are using a cream, roller, or other topical forms of CBD oil, make sure you let your skin fully absorb the CBD before washing it. Sublingual application of CBD oil is right for you if you are looking for similar benefits as when taking CBD orally, but you want to feel the effects quicker. Sublingual application means that you are taking the CBD oil under your tongue where your saliva can dissolve it and absorb it into your bloodstream. This way, the absorption process bypasses your digestive tract and you can experience the effects much faster. It is also a fantastic option if you have compromised digestion or are worried about absorption. To take CBD oil sublingually, there are a variety of options available to you. There are drops, sprays, tinctures, and pastes on the market. In all cases, you would place the CBD oil drops under your tongue, hold it for ninety seconds, then wait for the benefits. You may feel the effects within minutes and they generally last for several hours. Lastly, you may also use CBD oil by inhaling it via a vaporizer. If you are new to both vaping and CBD oil, this is not the best choice for you. However, if you are already familiar with vaporizers, it may prove to be a good option. First, you have to make sure to find the right vaporizer that’s built with CBD oil consistency in mind. Next, you can buy an e-juice cartridge with CBD oil to pop into your vaporizer. When you are vaping, a higher concentration of CBD oil is entering your bloodstream. You can feel the effects very quickly, however, the effects may also leave your bloodstream just as fast. When it comes to the best way to take CBD oil and the right dose, you have to remember that everyone is different. Choose the method that you feel most comfortable with. You may also combine a variety of methods, for example, utilizing sublingual CBD oil for sleep and anxiety, while trying the topical application for muscle soreness. When it comes to dosage, there isn’t a one size fits all approach. How much CBD oil you need and how often depends on the concentration of CBD oil, the form of CBD oil, your body weight, your individual body chemistry, your specific health conditions, and your personal goals. As your body’s physiology changes, the receptors in your ECS do too. This means that optimal CBD dosages will also shift throughout your life as your body and health changes. Take a look at the dosage recommendation on the product you are buying as a starting point. Another good rule of thumb is to take 1 to 6 mg of CBD oil for every 10 pounds of body weight and based on your pain levels. For example, if you are around 120 to 150 lbs, then 15 to 25 mg of CBD oil may be the best dosage for you. You can find a helpful dosing chart below (45). Use these tables and dosage recommendations as a suggestion and adjust your dose according to how you feel. It is always a good idea to start out with a lower dose and increase gradually as needed. It is also recommended to talk to your healthcare professional to see what methods and dosage may be safe for you. Many believe that CBD oil is the new multivitamin. Instead of only taking it when you have a problem for pain relief, you can take it regularly to support your endocannabinoid system. Using CBD oil can become part of your regular wellness routine along with other nutrition and lifestyle strategies to boost your health and allow you to live the life you deserve. With an increasing number of options out there, choosing the right CBD oil brand can be confusing. As I mentioned earlier, it is crucial that you choose a trusted brand. Look for organic, non-GMO, independently tested, full spectrum hemp CBD oil products. One brand of CBD oil, I truly trust and recommend is Rooted Apothecary. Co-founders, Ryan and Dr. Cade are fathers looking to share their love and knowledge of natural health beyond the four walls of their home. As a father myself, who is committed to not only my family’s health but the health of everyone else around me, I relate to and appreciate their vision. 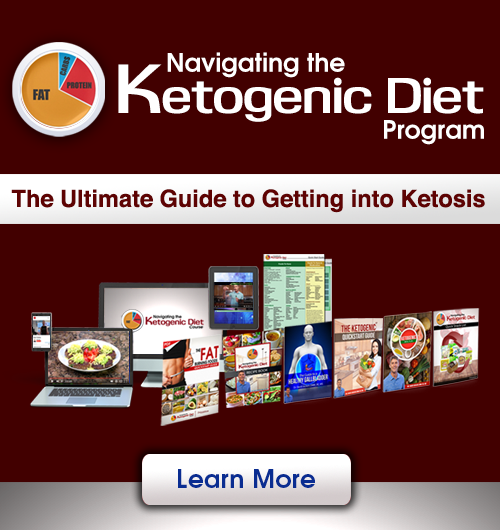 They are creating “rebelliously wholesome remedies” that are just a piece of the puzzle toward a better, healthier life for you and your entire family. They are caring and passionate people with a common goal of making a lasting change in your health. Their products are all full spectrum hemp extract grown with love on an organic farm in Colorado. They are also free from GMOs. They care about your health, just like I do, and sell only full spectrum hemp oil that is independently tested. Looking at their products, you can find CBD capsules (750 mg) to take orally, CBD oil tinctures (500 mg, 1000 mg, and 1500 mg) to use sublingually, CBD oil body butter for topical use, and CBD oil rollers infused with essential oils for a variety of health concerns, including tummy troubles, stress, hormonal and emotional health, teeth and TMJ, and ears. With such variety, you are certain to find what you are looking for. You can also use a combination of products depending on your symptoms and health goals. If you use the coupon code DrJockers you can get a 10% discount on your product purchases. CBD, a non-psychoactive cannabinoid found in cannabis has become one of the most popular supplements over the past years. You can find CBD products in health food stores, online shops, cafes, and even at health practitioner offices. 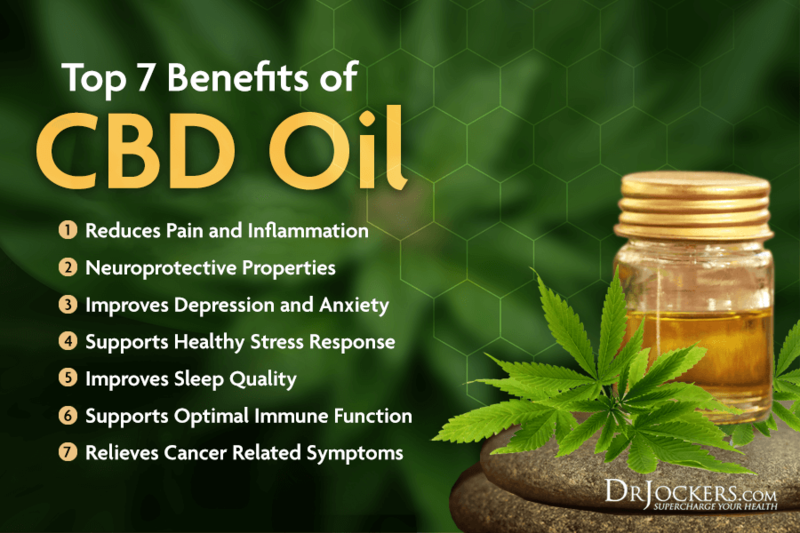 CBD oil can provide you with a number of health benefits, including reducing pain and inflammation, helping you with neuroprotective properties, improving depression and anxiety, supporting your healthy stress response, improving quality sleep, supporting a healthy immune response, and improving cancer-related symptoms. You can use CBD oil in four ways; orally, topically, sublingually, or as an inhalant and depending on your needs. Does it show up on a urine test as a mind bending drug, which could keep you from driving safely? My understanding is that the urine test will show negative or positive but a blood test will give the amount of THC which is the substance that will make you high. The type of CBD oil presented here is about 3%. We have been taking a product for over a year and will continue. Hi Linda, Thank you for sharing. You are correct as the legal limit is 3% THC. Family member with stage 4 cancer for the last 5 years has been treated by her oncologist but not the typical chemotherapy so she could not withstand that she asked her oncologist if she could take CBD or maybe just asked can I take marijuana new said no. She said no pain and her weight has been stable all these years I guess the dear Lord is part of her longevity with cancer. Would love to know your thoughts thank you. I am sorry to hear about your family member Maxine. CBD oil has researched benefits that can help with side effects of chemotherapy treatment. It does have different components than marijuana as described in this article. A functional health practitioner can help navigate her journey to healing: https://drjockers.com/functional-nutrition-tips-to-find-a-great-health-coach/. We will pray for her! Thank you, this helps a lot. It has been a little difficult for my friends and myself to really understand the differences of the oils. Tons of information here that should really help. Me being a Caregiver, I need to know this well enough to be able to explain the differences to others! Can you travel out of the country with CBD oil? If you come from the US, can you take it with you on a cruise? Hi Laura, I highly recommend that you confirm the requirements of traveling with CBD oil with any traveling authority you will be using. Legal requirements vary state to state and outside the U.S. Safe travels! I was diagnosed of RA in 2009. I was put on Naprosyn and after some time i didn’t feel any different, so i started on a Natural Rheumatoid Arthritis Formula treatment protocol from RICH HERBS FOUNDATION (www. richherbsfoundation. com), the treatment made a great difference for me, it effectively treated my Rheumatoid Arthritis and symptoms. The swellings, stiffness, fatigue and joint/muscle/body pains has subsided, I feel better overall than i have felt in years.I was diagnosed of RA in 2009. I was put on Naprosyn and after some time i didn’t feel any different, so i started on a Natural Rheumatoid Arthritis Formula treatment protocol from RICH HERBS FOUNDATION (www. richherbsfoundation. com), the treatment made a great difference for me, it effectively treated my Rheumatoid Arthritis and symptoms. The swellings, stiffness, fatigue and joint/muscle/body pains has subsided, I feel better overall than i have felt in years. That is great to hear Monica!